What's worse than reaching your vacation destination only to realize that you've left something important behind at home? Don't let your travel be affected by forgotten items- use our vacation packing checklist to make sure you have everything you need to have a fabulous time in Myrtle Beach and North Myrtle Beach! No matter what time of the year you visit the vacation condo rentals of Myrtle Beach and Beach Vacations, there are certain items that you need to pack and bring along. While basic toiletries will be provided in your condo, it's always a good idea to bring extra supplies if you feel you may run out of the starter amount. These supplies may include toilet paper, paper towels, and laundry detergent if you plan on washing clothes during your stay. Beyond toiletries, you will also want to bring along beach or pool towels if you're looking to take advantage of indoor pools in the Winter or the ocean and outdoor pools in the Summer. If you plan on taking lots of showers or are bringing a large group, it's also a good idea to pack extra bath towels, since your condo's set of towels will not be replenished by housekeeping (as long as your unit has washer/dryer availability). If you're visiting the coast in the off-season, when crowds and temperatures are lower, you will definitely want to pack along clothing and accessories to keep you warm. While it may not get incredibly cold in Myrtle Beach, the combination of Winter weather and the Atlantic Ocean sea-breeze means you will want to plan to bundle up- especially when you hit the beach! Bring along long sleeves, jackets, closed-toe shoes, and of course warm socks! You don't want to have to take time out of your vacation to search for items you already have at home. What is a trip to Myrtle Beach without visiting the ocean? In the Winter and Early Spring, beachgoers may bring along their own tents and beach furniture, as beach regulations are a little more relaxed outside of the peak season. 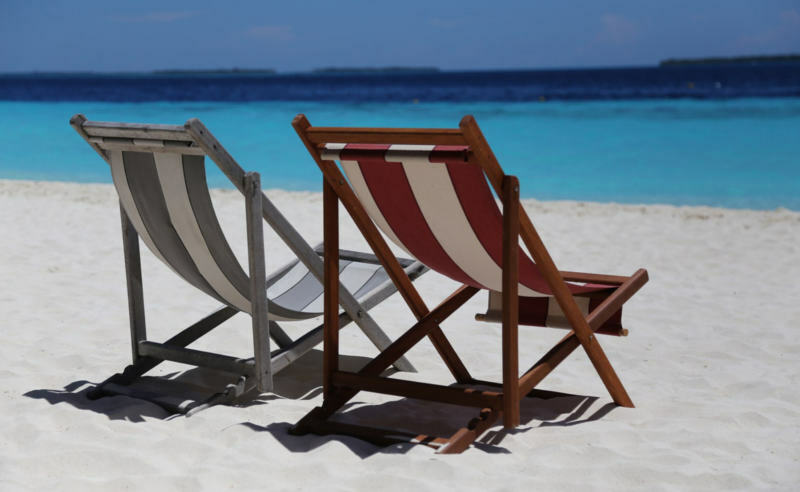 Since lifeguard stations and beach rentals are not available during the Winter, we suggest bringing your favorite beach chairs along for the vacation. Bring along extra beach towels or larger blankets, so you can enjoy a pleasant time on the beach when it's a little colder outside! Even though there are hundreds of opportunities for fun and entertainment along the Grand Strand, it's always a good idea to bring along a few odds and ends, including books for reading on the beach, board games for nights you stay in, and your favorite cozy blankets for cool nights out on your private balcony. And for the golf fans in your group, it would be wise to throw your golf clubs in the trunk! You never know when a fabulous Myrtle Beach golf excursion may present itself! Be prepared to have the best vacation ever whenever you get packed for Myrtle Beach. Your time away from home will feel more relaxed and fun if you have everything you need before you even arrive! Especially when traveling during the Winter and Early Spring, it is important to plan for weather extremes and more lax beach rules. No matter when you decide to vacation with us, we're sure you will have a wonderful time in Myrtle Beach!